Considering homeschooling? Some things to think about first. Our blog cruise topic for this week is what advice we would give to someone thinking about homeschooling or just starting out. Hmmmm, as a fairly new homeschooler myself, this requires some consideration. I first heard about homeschooling when my oldest son was about 4 years old, and as a certified teacher myself I thought, “that sounds crazy!” It’s funny how the Lord can make you reconsider your thoughts! The desire to homeschool was planted in my heart about three years ago, after I became friends with a few people who did it. Spending time with them, and seeing how much time they got to just enjoy their children, sparked a desire in me to do the same. The first thing I did when I started thinking about this is pray! I have learned throughout my life that following the Lord’s leading is the most important thing, and it’s what I desire to do most. After that, I broached the idea with my husband. His first answer was “we could never afford for you to stop working.” This was a disappointment, but as he manages the money and leads our home, I deferred to him and continued to pray. I knew that if this was what God intended, He would make a way. In the meantime, I spent as much time as possible gathering information about homeschool. The internet is wonderful for this. Look up your state homeschool association first. There you can get info about rules and requirements, as well as local support groups and other homeschool related topics that are pertinent to you. After that, I started looking up my county regulations as well. These were also readily available on my local school board website. It is important to know the guidelines for homeschooling in your area first, to make sure you would be able to meet them if you started homeschooling. These guidelines can vary from state to state and district to district, so make sure you find out what the guidelines are for your specific area. From there, I started spending time with my homeschooling friends, just asking question after question! They were VERY patient and helped me get a better idea of what homeschooling day to day involved. If you don’t know any homeschoolers personally, you may want to look for a homeschool support group in your area and contact them. They are usually very helpful and willing to answer questions as well. Probably the most time consuming portion of my research was looking for curriculum! Just google “homeschooling curriculum” and you will pull up a bevy of websites ranging from message boards that talk about curriculum, to curriculum product and review sites. I spent hours scouring these boards and sites. I have links to a few of these sites on my sidebar. 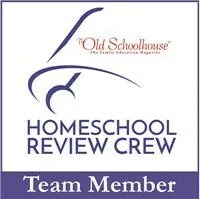 Check out Homeschool Reviews, the Well Trained Mind, and of course, the TOS website too! I ordered catalogs, compared costs, asked for samples and did everything else I could to get a feel for what was out there and what I would want to work with. Finally, about a year ago, I attended our state homeschool conference with a friend of mine. Even thought I wasn’t homeschooling yet, I went to get information. I was able to attend workshops that explained homeschooling more in detail, and get a hands on look at curriculum (which was my favorite part 🙂 ). Through all of this, I continued to pray and I asked my friends to pray with me. I kept asking the Lord to show me if homeschooling was what He wanted me to do. Two years later, He opened a door, and my husband told me “I want this to happen. Let’s do this”. It took a while for this dream of mine to come to fruition, but because of the legwork I had put in, I was ready to go when the opportunity arose. We do miss my paycheck, but I wouldn’t go back for anything! I would say, if homeschooling is a dream of yours, do all you can to prepare yourself by gathering information, discuss it with your spouse, and above all, pray and wait on God. As a member of the TOS crew for this year, I was given a free downloadable copy of the 2010 schoolhouse planner! I am participating in a contest to see who can write the best ad to promote the planner (first prize is $100 and there are also Starbucks gift cards up for grabs 🙂 ) , so here goes! To be honest, I had looked at the planner at the TOS website long before I became a crew member, and it was on my list of “things I’d like to get” but, as you all know, that list can get pretty long, and the budget stretches only so far! 🙂 I decided to skip purchasing a planner at all this year, and just print stuff off of free sites on the internet to use for my planning. I spent HOURS scouring the web, looking for printable pages that would allow me to plan quarterly goals for my kids, make quarterly plans for each subject, find a daily planner that I could use for both my kids, record grades, attendance etc. etc. etc. Seriously, I probably spent about a weeks worth of hours doing this, and of course, I bookmarked all my pages so I could find them again, but didn’t organize my favorites clearly enough and ended up spending large amounts of time trying to “locate” the sites on my list! Then, I got the link to this planner, and I realized the convenience of having it all done for me, in one place, ready to go! So, what does this planner include? Literally everything I could think of (which is a lot 🙂 ) and more! There are monthly articles on a wide-range of homeschooling topics, from involving fathers to teaching manners. It has recipes and lists of educational information (Latin roots, multiplication table, countries and capitals, the Parables of Jesus etc. etc.) . It also includes yearly calendars from 2010-2013, that are also broken down into months with boxes big enough to write on. There are recipes, forms to use for homeschooling, forms to use for household planning, and even printables to use with your kids. The household planning sheets were something I really hadn’t thought about. I am one of those people who likes to write out a weekly menu, but usually it’s just scribbled down on whatever scrap of paper is nearby, and then quickly gets lost! In the TOS planner, I found household planning sheets I can actually USE! My favorite is probably the “Week at a glance” page that lists each day of the week and then includes the following categories: Homeschooling, Homekeeping, Menu, and Misc. It’s short and sweet and will allow me to make notes about doctor’s appointments, big projects in our homeschooling, things I need to do at home, and any big menu items I need to remember. There are also weekly and monthly menu planners, budget pages, emergency info pages, chore charts and lots, lots more. Another great part of the planner is the printable pages that you can use with your kids. I mentioned chore charts earlier, but there are also journal pages, preschool planning pages, handwriting pages, memory work pages, and bible study pages as well. There is a page that kids can use to keep track of assignments and their due dates that I plan to introduce to my children this year. I want to start giving them monthly projects to work on independently, and I want them to have a way to keep track of things. I think developing independent planning skills will benefit my children in the future, in both college and the work force, and this page is very clear and concise, and something I think my kids will actually fill out 🙂 Forms for reading logs, extracurricular activities and audio/visual forms are included too. It would take pages and pages of this blog to tell you all that the 2010 homeschool planner includes. Some other things I haven’t mentioned so far are, unit study planning pages, unschooling record sheets, address books, transcripts, report cards, and the list goes on and on. The cost of the planner is $39.00, and you can check it out here: http://thehomeschoolmagazine.com/TOSEBookSellSheets/Modules/10Planner/10Planner.htm . When I first looked at this, I thought it was more of an “extra” than a necessity. I mean, let’s face it, in these times, frugality is important. Every penny counts, and you really have to sort through your long (in my case very long 😉 ) list of wants to determine what you really need. However, I have come to realize that being frugal with your time can be just as important as being frugal with your money. We all have so much to juggle. We are moms, wives, teachers, homemakers, friends, church members, community members, and some of us have jobs on top of all that! There are still only 24 hours in a day. The sheer amount of hours this planner will save me from searching the internet, makes it worth it. Remember, the calendar pages go through 2013, and the other pages are undated, so realistically, you could use this planner for YEARS into the future. That in itself makes the cost seem very small. I would highly recommend this planner to anyone who wants to have it all at their fingertips ready to go, so they can spend their time doing other things!